Written and directed by Clare Duffy. 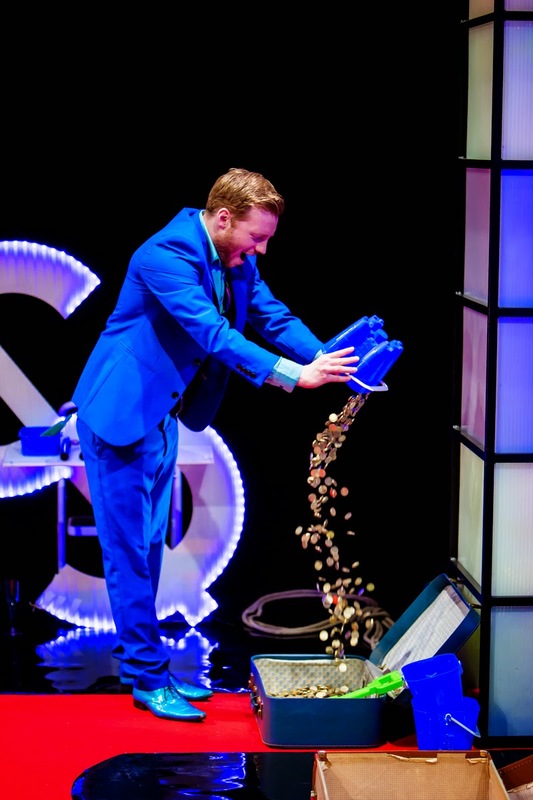 MONEY the game show is a playful journey through the madness of the financial system from Leeds-based Unlimited Theatre and London’s acclaimed new writing venue the Bush Theatre. Casino and Queenie used to be hedge fund managers. Before the financial crisis of 2008, that is. Now, in an inspired - or desperate - career move, they’ve turned to performance art to share their stories of how to make (and lose) billions from economic downturn. 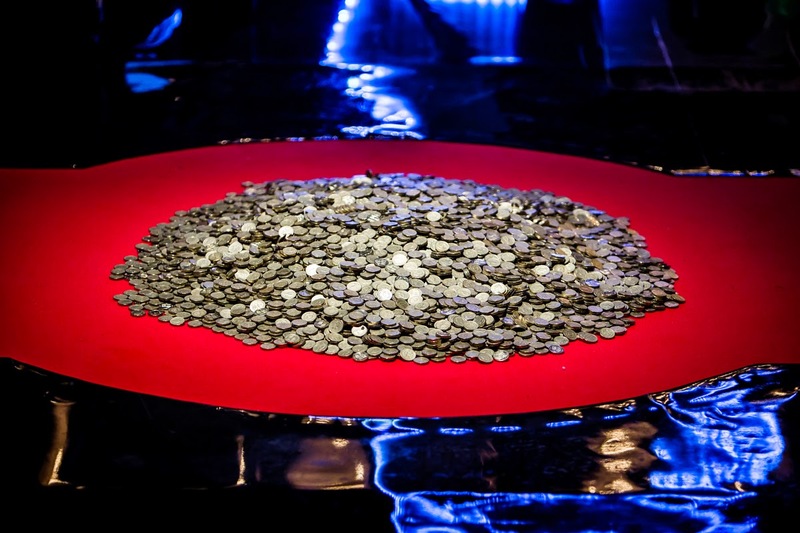 Playing with £10,000 in real pound coins, you are invited to bet long, short and hedge, as game show hosts Casino and Queenie challenge you to play a series of high stake games that show how the world’s economic system came to the brink of collapse. Risk takers to the front, risk averse to the back. Welcome to MONEY the game show. 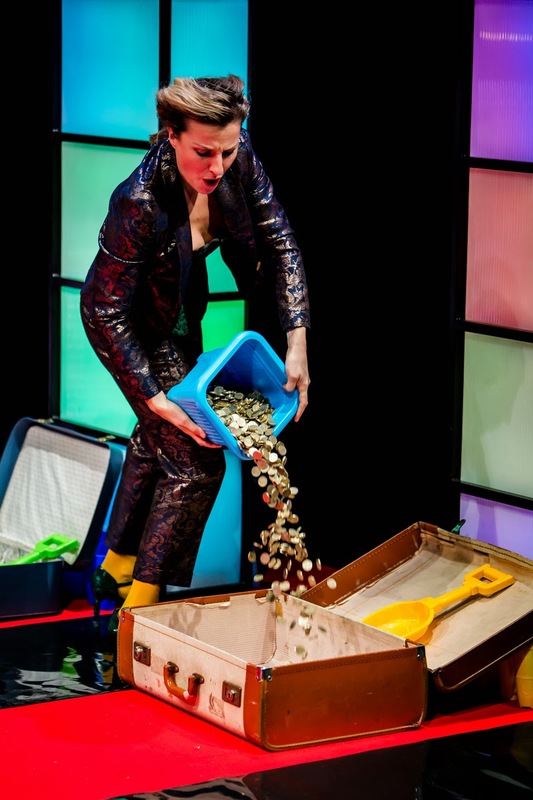 The Bush Theatre teams up with Unlimited Theatre to take a playful and politically sharp look at the roots of the 2008 financial crisis and its ongoing impact in 2014, as well as tackle the bigger questions: What is money? What is it worth? And what happens when we stop believing in it? 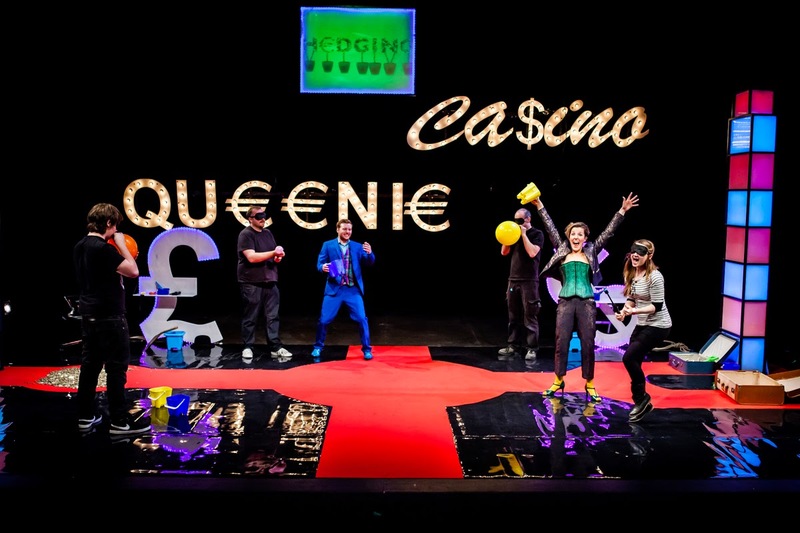 MONEY the game show was first developed as part of the Platform 18: New Directions Award, supported by The Arches, Traverse Theatre and National Theatre of Scotland. It was fully produced by Unlimited Theatre and the Bush Theatre, with the full production receiving its world premiere in Feb 2013 and it now tours England and Scotland in Spring 2014. This performance comes to the Seaton Delaval Arts Centre as part of REACH, a project bringing new theatre to the North East, managed by ARC Stockton and Dep Arts Ltd and funded by Arts Council England. Over the next 4 years a number of critically acclaimed and new pieces will be showcased at the centre for audiences to enjoy and experience. 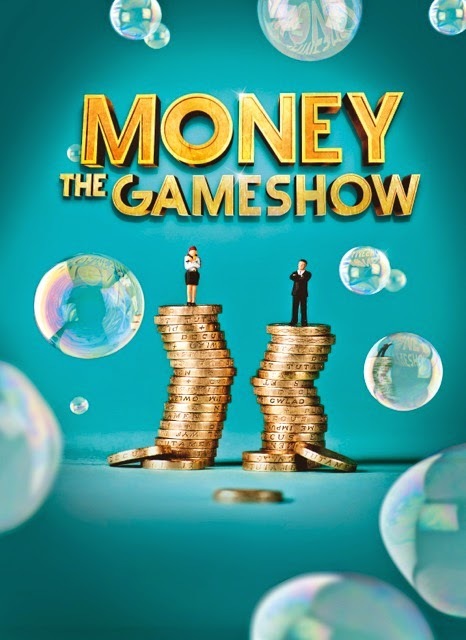 MONEY the game show takes place on Saturday 27th September 2014 at 7.30pm with tickets priced at £8.00 and £6.00 for concessions. Tickets available from the Box Office on 0191 237 5460 or online at www.seatondelavalartscentre.com.